Iran and Israel are polar opposites on the nuclear issue – what’s rarely acknowledged in Western capitals or publicly discussed. The Islamic Republic has no program to develop them, and wants them entirely eliminated to prevent their use. The power of today’s thermonukes can turn metropolitan areas like New York to irradiated rubble. Nuclear wars can’t be won. They risk nuclear winter if nukes are used in enough numbers. “The result would be a global nuclear famine that could kill up to one billion people.” Enough thermonuke detonations could potentially end life on earth. Nuclear winter is the ultimate nightmare. No antidote exists, no coming back if things go this far. What should terrify everyone is never discussed publicly, largely ignored by Western media. Humanity has a choice – eliminate these weapons entirely or they may eliminate us. Washington, its Western partners and Israel unjustifiably criticize Iran over the issue of nuclear weapons it doesn’t have or want. Run by extremely dangerous Zionist zealots, the Jewish state has been nuclear armed and dangerous since development of its capability began shortly after the nation’s founding. David Ben-Gurion (Israel’s first prime minister) and Shimon Peres were the driving forces behind Israeli development of chemical, biological and nuclear weapons. The Eisenhower administration aided Israeli development of nukes, supplying the country with its first small nuclear reactor in 1955. In 1964, France built the Dimona nuclear reactor in the Negev. Israeli production of nukes began in the 1960s. South Africa collaborated with Israeli nuclear weapons development until the early 1990s. Israeli missiles, warplanes and submarines can launch nukes to reach targets far distant from its borders. It has hundreds of warheads in its arsenal. 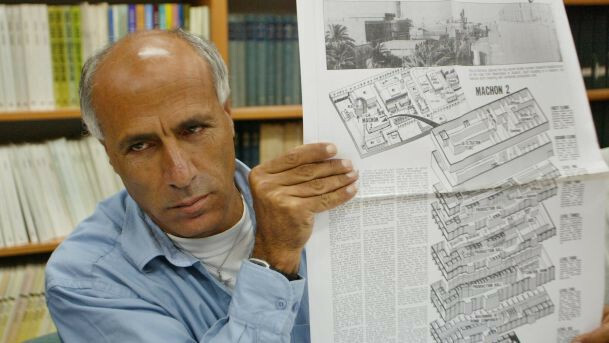 Image on the right: Mordechai Vanunu in 2004 shows the article for which he was imprisoned. 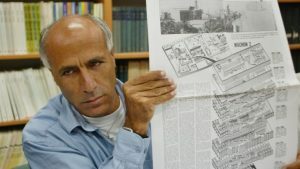 In the mid-1980s, Dimona nuclear technician Mordechai Vanunu publicly revealed the existence of Israel’s nuclear weapons program. “With several hundred weapons and a robust delivery system, Israel has quietly supplanted Britain as the world’s fifth largest nuclear power, and now rivals France and China in terms of the size of its nuclear arsenal” – while maintaining nuclear ambiguity to this day. Israel has no nuclear power plants for electricity generation. It’s nuclear program is focused on weapons development and production. Its sophisticated capability heightens the regional and global risk it poses. Its open secret is well known. In Pentagon report, a Pentagon report titled “Critical Technology Assessment in Israel and NATO Nations” was Washington’s first official acknowledgment of Israel’s nuclear weapons program. Its program includes extensive R&D facilities, factories, private companies, and government research centers devoted to developing, upgrading, producing and maintaining Israel’s nuclear arsenal. Today, Israeli nuclear sophistication is far more advanced than 30 years ago. Its regimes were given or stole US technology for decades. Knowledge about it was systematically ignored or suppressed. Political, economic, military and technological partnership between both countries is longstanding. Washington actively aided Israel develop sophisticated nuclear weapons able to incinerate cities far distant from its borders – violating US law. The 1961 US Foreign Assistance Act prohibits aiding nations develop nuclear weapons. Israel was secretly exempted. Both nations are run by neocon extremists, waging endless wars, Israel against Palestinians and Syria, America against humanity at home and abroad. Iran hasn’t attacked another nation in centuries, threatening none now. It’s armed with conventional weapons alone – solely for defense, not offense. Yet Washington and Israel consider it an existential threat – a bald-faced lie, a pretext for wanting its sovereign independence replaced by pro-Western puppet rule. Iran threatens no one. Washington and Israel threaten world peace and humanity’s survival. If launched, war on Iran could be devastating far beyond its borders. Catastrophic global war could follow, the world’s two dominant nuclear powers possibly pitted against each other. What’s unthinkable could happen because of extremists in charge of warmaking in Washington and Israel. The human species could become the first one ever to destroy itself – and virtually everything else along with it.